Can you review a Synchro-Mesh S/PDIF re-clocker? 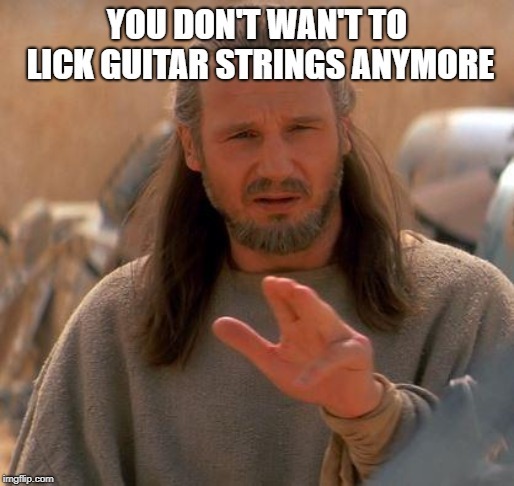 I've also induced it by licking the strings with my tongue on my Fender Jazzmaster when using long cables to the amp. I just... don't want to know. Isn't it just a lot easier to use modern DAC/ADC technology instead of R2R? After all, pretty much the entire recording chain of anything modern & normal is using SD/DS topologies. It is easier to design Delta-Sigma for sure. There are tradeoffs in either case. Accuracy is the trade-off with R2R, but some of these companies are coming up with new tricks to minimize this issue. For Sigma-Delta the trade-off is the oversampling and digital filtering. In general, most I have read on the forums say that R2R comes closer to an analog sound. I designed both types of DACs. My earlier DAC was a tube output dual PCM1704 based DAC that sounded very analog like, but lacked the ultimate detail. This is a relatively old D/A chip. My latest is a Sigma-Delta with selectable digital filtering and oversampling. It is much better on the detail and still sounds analog-like because of the minimized digital filtering. I think some of the new strategies for gaining accuracy on R2R designs that are built from scratch like the Metrum and Border Patrol are improving on older technologies. The only plausible explanation of people believing they hear differences at the -110db level and better is the placebo effect, which is real enough for those of you susceptible to it. I'm listening music at average level of 85-90dB and there's app 25dB of noise in my room so how I'm suppose to hear anything at -110dB level??? Total misinterpretation. Your senses must not be working very well. Try reading what I wrote. Measurements and listening are equally important, until we achieve a standard set of measurements that fully characterize and correlate to the way we hear. I don't believe we are there yet. So hearing is still 'better' than measurements ... I think I interpreted it right. People have a tendency to overestimate their hearing capabilities. Use your ears to listen to music not as an analyzer. I've also induced it by licking the strings with my tongue on my Fender Jazz Bass when using long cables to the amp. If only I can imagine you as a hot blonde girl that would bring totally different Image! @amirm , do you hear the difference? It should be a fair and square test of clocking, wouldn’t you agree? I just did a quick listen to the first few seconds and heard no difference. We have to confirm levels and such are the same before we know if it is fair or not. I have downloaded these. I'll give them a listen this afternoon, as well as my offset files. Can somebody assist you in blind test? This is the perfect job for @pkane his comparison software perhaps. Let me give you an example that anyone can try: When I first watched the 3-D version of the movie "Gravity" using my Oppo Blu-Ray player, I didn't have the iPurifier in the system, so jitter was higher. I totally missed some of the context of the movie because this is laid-out in the first minute of the movie, with radio chatter between earth and the space shuttle. I could not make out what they were saying in this chatter. It's mostly high-frequency sound. After adding the iPurifier, I watched the movie again. This chatter was now intelligible and I understood the dialogue immediately, even though this is at very low level. The movie finally made sense to me. This is very natural part of how our brain works. When you swapped in the iPurifier you were focusing on its effect which in turn would cause your brain to focus more on details. This is the same as someone reporting that after they made some change all of a sudden heard an instrument they did not before. The sound was always there but they did not pay attention to it. Our hearing system is delivering megabytes of information per second to our brain. Much of this information is thrown away out of necessity. The moment you enter comparison mode of audio gear, the brain changes function and is able to focus more and find new things that were always there but discarded. Since you brought up video, broadcast monitors have a black and white switch. Push that button and color is gone. It is used all the time to let someone see errors in luminance (black and white) would can be obscured by the prettiness of color. Nothing is changed in video signal when we do that but it aids the brain to better find what we are looking for. This issue by far the most important way audiophiles go wrong. They swap gear, focus more, head more detail and declare the new gear must be there. In reality nothing is changed but their mindset. This is why blind tests work so well: they take away the knowledge of whether something has or has not changed. That equalizes the playing field with respect to how you brain analyzes sound. The fact that blind tests don't agree with sighted ones, proves this aspect of brain function. If they can review the gear waiting and take care of planting the garden, sure. Ah, it is a great use for that. Amir - This is inappropriate and disrespectful to women. Are we going to remain civil here or not? Wrong. I was not expecting anything but better quality audio overall. I was frankly surprised that I heard dialogue that I had previously missed. I said nothing about expecting better quality. That is another thing that corrupts such tests (e.g. you liking your own products). This phenomena simple says your brain operates either in passive or attentive mode. When you made the change, your brain switched to the latter, focused more, and heard more. Play the same track of music twice in a row while changing nothing. The second time really focus hard and you will absolutely here more detail even though nothing has changed. This is how I pass double blind tests for example. I focus ton of energy identifying smallest detail and then hear them if they are there. There is no escaping this fact. It is just part of being human. You must do the testing blind. There is no other solution. You could even walk into a test thinking the results should be worse and it won't help you when you think the sound is better. It is all misperceptions. I have proven this to myself countless times. JERRY: So, we go into ASR, we tell them we've got an idea for a thread about nothing. JERRY: They say, "What's your 29-page thread about?" I say, "Nothing." Ah, I see. In that case maybe you should consider assisting them. I get it you somehow figured there's an open position for mod here on ASR but something tells me you're not gonna get it, for more reasons than your lack of humor. Which one was? The one about noise from cables? Unlike the other three that one actually seems almost possible to me! @Empirical Audio Is this another question that will be left unanswered? Is Audio Science Review going about it all wrong? Or partly wrong? Or all right?